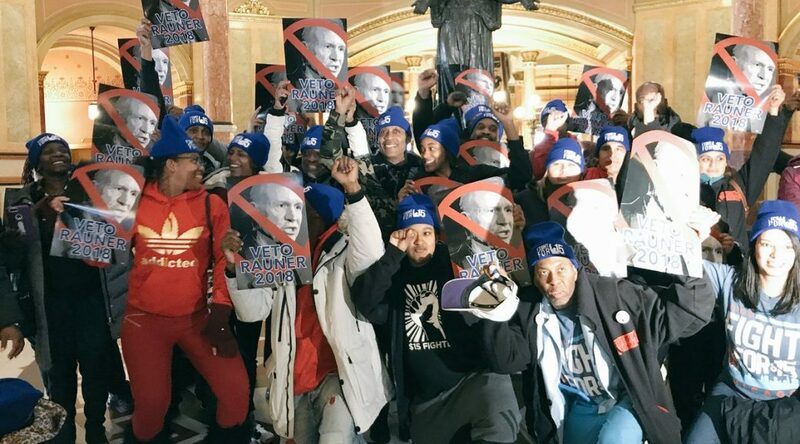 Fast food workers, union members and community activists joined forces at the State Capitol on January 31 to hold anti-worker Governor Bruce Rauner accountable for vetoing a $15 minimum wage and for his attacks on workers’ unions. 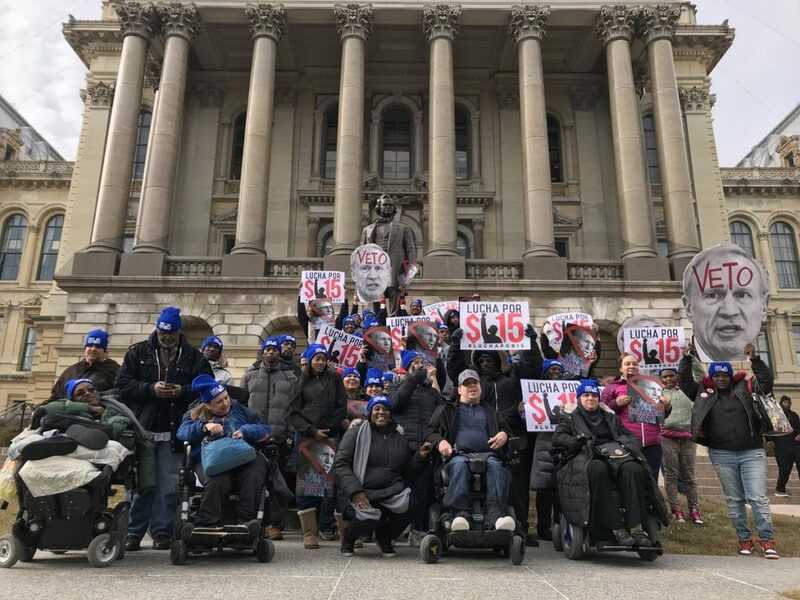 Workers and allies then marched to the second floor to stage a sit in outside of the governor’s office where they met Rauner face to face chanting “Rauner Vetoed $15, Veto Rauner ‘18”. A $15 minimum wage would have provided $2.3 billion in revenue for Illinois and created pay raises for 2.3 million Illinois workers. As it stands, Illinois’ minimum wage is just $8.25/hour, where it has remained for more than a decade. #FightFor15 Workers won’t back down from this fight or any other, and we plan on keeping the pressure on in 2018 and beyond. Get involved in the fight in 2018 by signing up to volunteer 40 hours before the election. Join the 40 for 15 Today!